Acura is celebrating the 15th anniversary of its industry-leading Super Handling All-Wheel Drive™ (SH-AWD®) technology with a new video that illustrates SH-AWD®'s performance prowess and unique history. Acura's groundbreaking SH-AWD® technology has long set the bar for performance-enhancing torque vectoring AWD and is now offered on five of six Acura models in either mechanical (SH-AWD) or electric (Sport Hybrid SH-AWD) form. Additionally, Acura will surpass the one-million mark in global sales of SH-AWD®-equipped vehicles later this year. In 2004, the first generation of Acura SH-AWD debuted on the 2005 RL sedan as the world's first torque-vectoring all-wheel drive system. The technology, which dynamically distributes engine torque for enhanced handling and cornering performance, has been continuously advanced through multiple generations of development and deployed on Acura's most popular models. The newest and most powerful generation of mechanical Super Handling All-Wheel Drive (SH-AWD) debuted on the 2019 RDX in June 2018, boasting 40 percent more torque capacity at the rear axle, quicker front-to-rear torque transfer and 30 percent quicker transfer of torque between the left and right rear wheels. The world's first all-wheel drive platform that actively and continually distributes torque not only to enhance traction, but also to elevate cornering performance. By overdriving the rear wheels SH-AWD can provide an inward yaw moment while accelerating into and through corners. 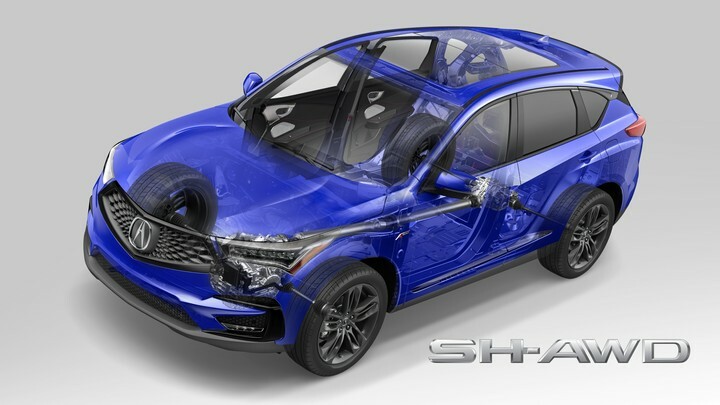 The newest version of Acura's mechanical SH-AWD is more compact than before while offering 30 percent faster response and a 40 percent increase in maximum torque capacity.